Brahm Dutt Sharma*, Khushal Chouhan. Background: Autism is a complex development disability appearing in infancy or early childhood which has been increased in its prevalence and incidence since the last two decades. Western medicine and research has seemingly stalled in respect to the management of autism however early intervention and behavioral therapies have shown improvement to some extent. Aims: To critically analyse the Ayurvedic pathophysiology of Autism and the approach in its prevention and management. Materials & Methods: Classical texts books of Ayurveda, journal publications, various internet and clinical experiences were considered as the source of information. Results: Ayurveda understands the nature of human brain in a completely different manner from modern day's psychiatric and physiological theories. Autism has close similarity to the features that of Unmada (insanity) described in Ayurveda. The condition may be due to the result of Khavaigunya (disarrangements) of Srotas (channels) which nurtures Manas (mind) as a consequences of many Agantuja (epigenetic toxic insults & post natal environmental factor) and Sahaja (genetic) factors. Among the various type of treatment modalities Yuktivyapashraya Chikitsa (Rational therapy) plays a vital role in managing the symptoms of Autism in children. However the preventive measures are more appreciated than the treatment protocols. Conclusion: Ayurveda indicates that the prevention of psychological disorder starts since birth and continues till prenatal period. Yuktivyapashraya Chikitsa which encompasses of herbal supplementation, Yoga, Panchakarma and usage of specific and controlled diet can help in preventing and resolving the condition. Brahm Dutt Sharma, Khushal Chouhan. Prevention & Management of Autism  An Ayurvedic Perspective. J. res. tradit. med. 2016; 2(4): 117-121. Brahm Dutt Sharma, Khushal Chouhan. Prevention & Management of Autism  An Ayurvedic Perspective. http://www.tmjournal.org/?mno=278121 [Access: April 19, 2019]. Brahm Dutt Sharma, Khushal Chouhan. Prevention & Management of Autism  An Ayurvedic Perspective. J. res. tradit. med. (2016), [cited April 19, 2019]; 2(4): 117-121. Brahm Dutt Sharma, Khushal Chouhan (2016) Prevention & Management of Autism  An Ayurvedic Perspective. J. res. tradit. med, 2 (4), 117-121. Brahm Dutt Sharma, Khushal Chouhan. 2016. Prevention & Management of Autism  An Ayurvedic Perspective. JOURNAL OF RESEARCH IN TRADITIONAL MEDICINE, 2 (4), 117-121. Brahm Dutt Sharma, Khushal Chouhan. "Prevention & Management of Autism  An Ayurvedic Perspective." JOURNAL OF RESEARCH IN TRADITIONAL MEDICINE 2 (2016), 117-121. Brahm Dutt Sharma, Khushal Chouhan. "Prevention & Management of Autism  An Ayurvedic Perspective." 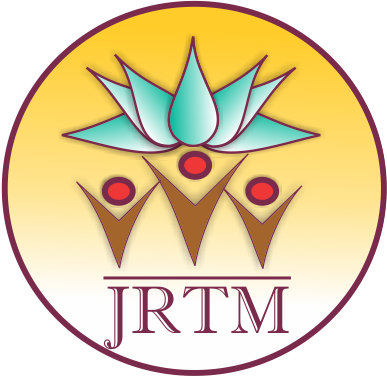 JOURNAL OF RESEARCH IN TRADITIONAL MEDICINE 2.4 (2016), 117-121. Print. Brahm Dutt Sharma, Khushal Chouhan (2016) Prevention & Management of Autism  An Ayurvedic Perspective. JOURNAL OF RESEARCH IN TRADITIONAL MEDICINE, 2 (4), 117-121. J. res. tradit. med. Year: 2016, Volume: 2, Issue: 4: 117-121.